When we open received SMS, it shown in Conversation View, how can we change to Inbox View? I think there is no option to change it to Inbox View...how????????????? It has lots of features.it has good internet speed but it is not faster then nokia 2690.it has good clearity but some light problem.but otherwise it is gr8 mobile and affordable. Guddu, 05 Apr 2012It's a very nice phone having excellent featersYes Nokia X2_02 is The Excellent phone I experiencing after bought it , Longest Talk Time, all playing features, FM transmitter can transmit to any FM receiver to play via audio songs by this phone , super camera but 2mega pixel , And Easy Using Dual Sim feature , 100 Marks to This phone . Hi dear nokia x2-02 user. Can this phone install and using WhatsApp? Thanks. Ammar, 03 Apr 2012can any body tell me that is there any document viewing app for x2 02 ?Try "MobilePDF.jar" for Viewing *.pdf document. Also Use "MobileDoc Viewer.Jar" for *.doc File. Search & Dlod, this two App works gr8 4 me. 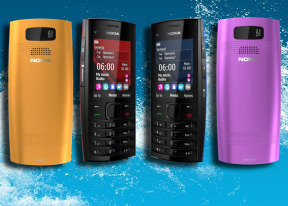 shahanuwaz, 04 Apr 2012Hello frnd, i have nokia 2690 mobile which is very good in facility.But now i know i am think ... moreHello, 2690 iz gr8 Handset for low price tag. I also thinking 2 buy X2-02. But it has low Built-in Memory. Thatz y it hangs more (by user reviews). Ahsan Ahmed, 04 Apr 2012Where is FM Recording Option...???????????? Can anyone tell me..????? :(Where U 4m bro?? ?